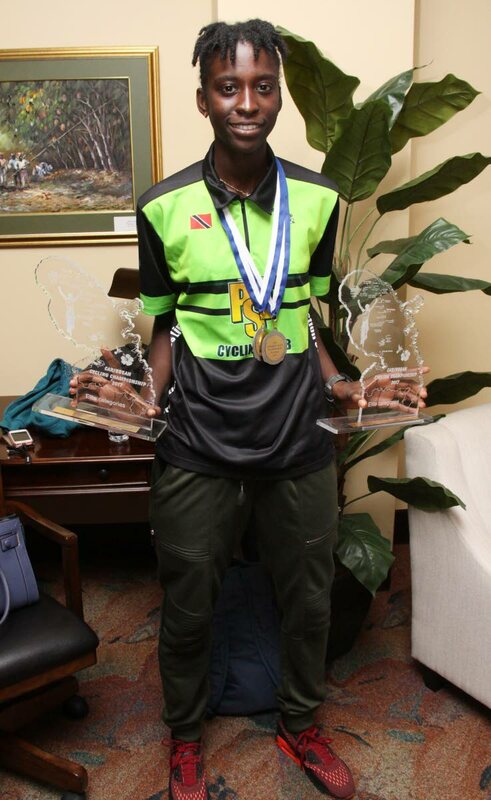 National cyclist Teneil Campbell shows off her Caribbean Road Cycling trophies yesterday. Top national cyclist Teniel Campbell is looking ahead to the 2018 season, after she completed her 2017 campaign with a pair of gold medals at the Elite Women’s Caribbean Road Cycling Championships in Martinique. The 20-year-old Campbell returned home yesterday with two trophies – the individual time trial and the women’s road race. The University of Trinidad and Tobago (UTT) student noted, “The competition this year was more intense compared to a couple other years. The road race was actually before the time trial this year. Reply to "Campbell outlines plan for 2020 Olympics"